The National loved the movie Win Win so much that when director Tom McCarthy asked them to write music for it, they were a little worried their song might not live up to expectations. 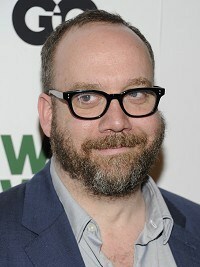 "There's that movie afterglow after you see a great movie, which we all had when Win Win was over," said lead singer Matt Berninger in a recent interview. "(But) when you have someone who's working on a film, what a huge creative mountain that is to climb. To finish a feature film and then you just have this song that's going to end their film ... We were really, really nervous ... if it was going to work or not." Win Win stars Paul Giamatti as Mike Flaherty, an attorney whose main clients are elderly folks living in his small New Jersey town. Things change quickly for Flaherty when his law firm isn't doing well and he decides to take guardianship of an aged client to earn extra cash. He also takes in the client's teenage grandson, a skilled wrestler, and an advantage for Flaherty, who is also a high school wrestling coach. "Tom was able to paint an unbelievably realistic and honest portrait of normal people - showing their heroic sides and failures," Matt said. He said the band felt a buzz after seeing the movie. Their goal was to write a song "that would sort of keep that buzz going or something". "We knew where people would experience the song - sitting in a theatre. We knew exactly how that was going to work (and) we thought of that a little ... What kind of song will make the experience work well and not conflict or compete with the film?" Matt said.